On June 22, 1876, Lt. Colonel George Armstrong Custer confidently led his 7th Cavalry, several officers’ wives and assorted hangers-on out of Fort Abraham Lincoln near present-day Bismarck, North Dakota. 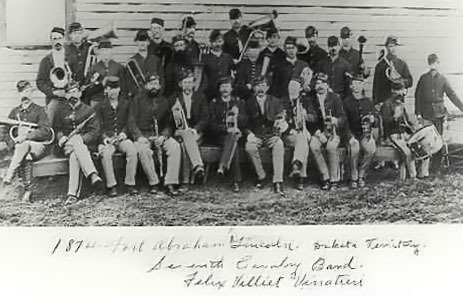 With him was the regimental band, a sixteen-piece brass band mounted on matching white horses and led by Chief Musician Felix Vinatieri. They played “Boots and Saddles”, and then Custer’s favorite, the cheerful tune of “Garry Owen”, which would forever after be associated with the ill-fated 7th Cavalry and its demise. Custer’s only concern was that the wily Sioux would escape before he could engage them in battle, but his spirits were high, and the entourage took on the air of a summer pleasure outing. Hunting and scouting parties detached themselves occasionally to canter across the prairie. When the party reached the confluence of the Powder and Yellowstone, General Terry’s orders were explicit: the band was to turn back. Custer, taking one bugler and the handsome white horses with him, rode into an ambush. The band arrived back at the fort – on foot – in time for the frontier Fourth of July celebration. Thus, the Patriots won the Super Bowl in 2002 and 2004. The place kicker for the New England Patriots football team at that time was a young man named Adam Vinatieri, the great-great-grandson of Felix. Adam’s talented toe not only drilled the game-winning field goal as time expired in the Big Game, but he kicked five game-winning field goals during the 2001 season to get them there, including three in overtime. According to Patriots’ statistics, Vinatieri is the most reliable field goal kicker in franchise history, connecting on 80% of his kicks. He scored 24 points during the 2001 post-season and is now the top Patriots scorer in post-season annals with 54 points. Not bad for a kid who couldn’t get drafted after graduation from South Dakota State University, even though he is the Jackrabbits’ all-time leading scorer! What if Custer had defied his superior and taken the band to the Little Bighorn that blazing hot summer day in 1876? * Creighton’s birthplace is also listed as Memphis, Tennessee. I do not normally enjoy historic fiction, but I did enjoy this book. Rather than try to portray Custer in some “pretend” scenario, full of over-contrived descriptions of him, this book takes a quick glimpse of Custer through the journal of an unidentified member of his inner circle and runs with a modern story of whodunit and charm. The story begins in Hardin with an Indian who has the journal. He sends it to his college student niece, Sally Wolf, in hopes she can discover its apparent value. The protagonist, Walter Reeves, is the niece’s history professor who has inner conflicts concerning his marriage and his career. Walter gets the necessary remedy for the boredom in his life as he finds himself entwined in a journey involving burglary, kidnapping, and murder. 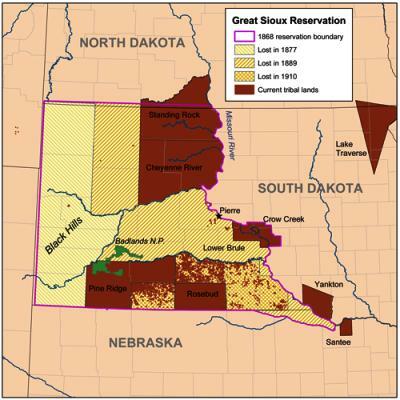 Along the way are a militia group, determined to protect Custer’s reputation, and radical Indians, all trying to get their hands on the journal. The author, Lorin Lee Cary, is a retired history professor who has taken his knowledge and humor on a fun ride. Die-hard Custer fans will find some minor faults, but the book is a good read. It may be a good peripheral introduction to the Custer story for their less-enthused family and friends this Christmas.